Okay, I know this post is totally off-theme for this blog, but I want to say this anyway. My native state of Texas hasn’t given me much to be proud of for quite a long time, but tonight it did. 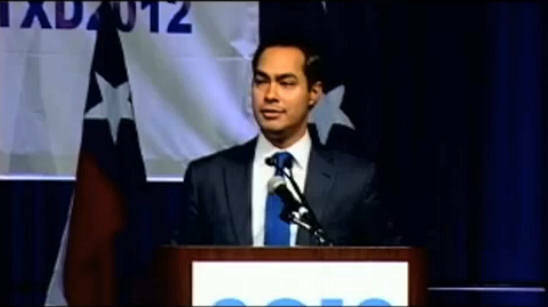 I just watched San Antonio Mayor Julian Castro give the keynote speech at the Democratic National Convention, and it blew me away. It had me both fist-pumping and wiping tears away. It was inspiring! This guy is a star! What was so striking to me was when the cameras panned around the crowd and showed us what America really looks like today. What a contrast to the collection of mean-spirited haters and liars that gathered in Tampa last week. And what a rebuke. Julian Castro got the bases loaded, and then Michelle Obama knocked one out of the park. The Democrats are off to a great start. Hope they can keep the momentum building.